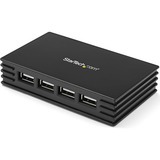 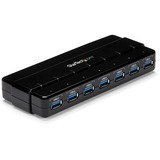 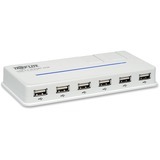 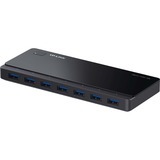 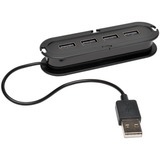 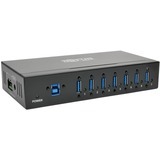 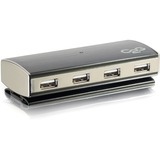 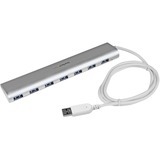 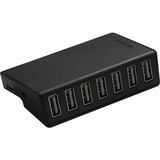 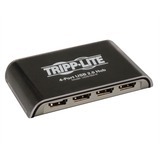 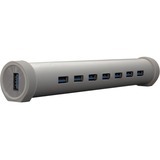 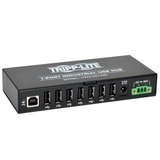 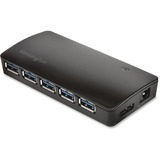 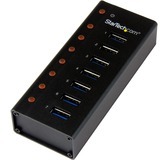 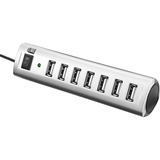 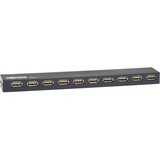 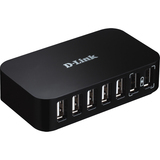 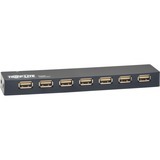 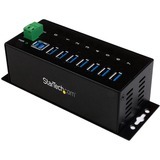 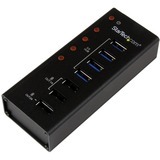 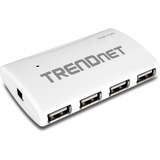 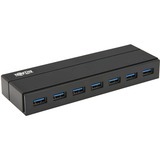 USB 2.0 hub allows you to connect up to seven USB devices to a single USB port on your computer. 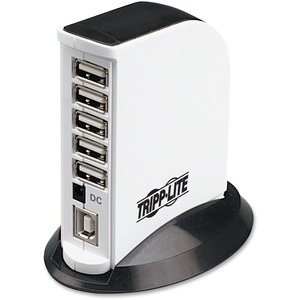 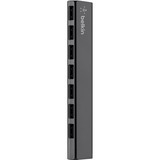 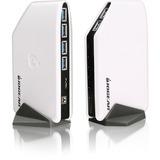 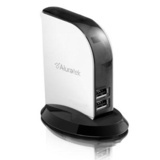 This hub meets or exceeds USB 2.0 specifications for Hi-Speed data transmission rates up to 480Mbps. 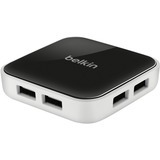 Compact design is perfect for both mobile and desktop users. 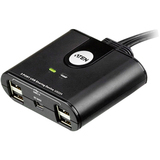 While the hub will function perfectly in virtually all cases without needing external power, an included compact, multi-voltage AC adapter (110/220V) can be used for the rare circumstance when connecting a power-hungry device. 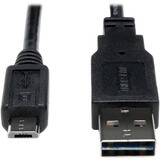 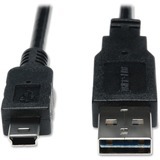 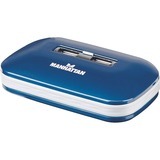 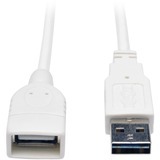 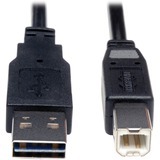 USB 2.0 device is backward-compatible to function with both USB 2.0 and USB 1.1 devices. 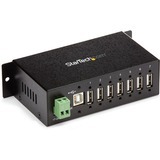 Overcurrent protection safeguards connected equipment from overvoltages. 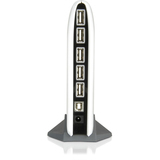 Included stand offers convenient upright positioning.